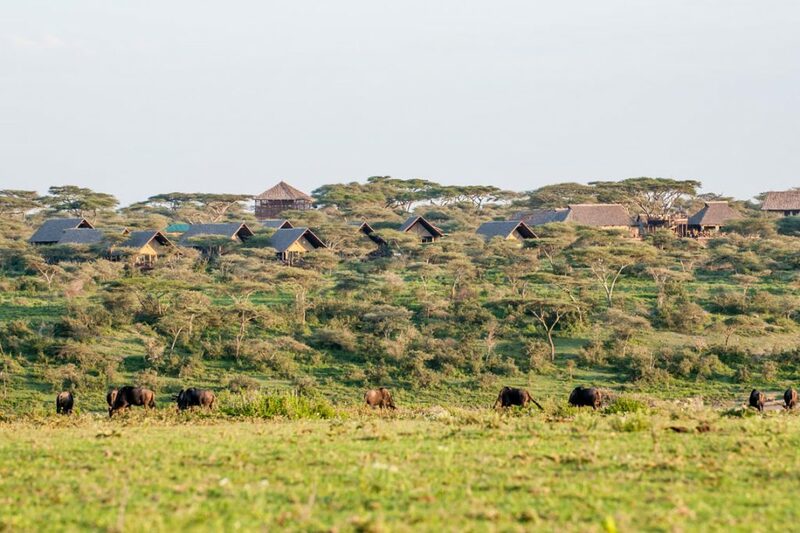 Ndutu area forms an important part of the Serengeti ecosystem, in particular the short grass plains, which provide calving grounds for wildebeest and other migratory animals, usually taking place between January and March. 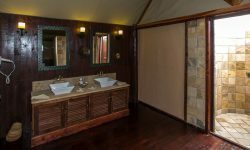 The lodge offers 20 large en-suite spacious tents overlooking the Lake. 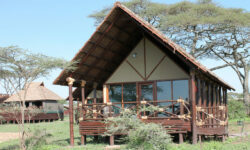 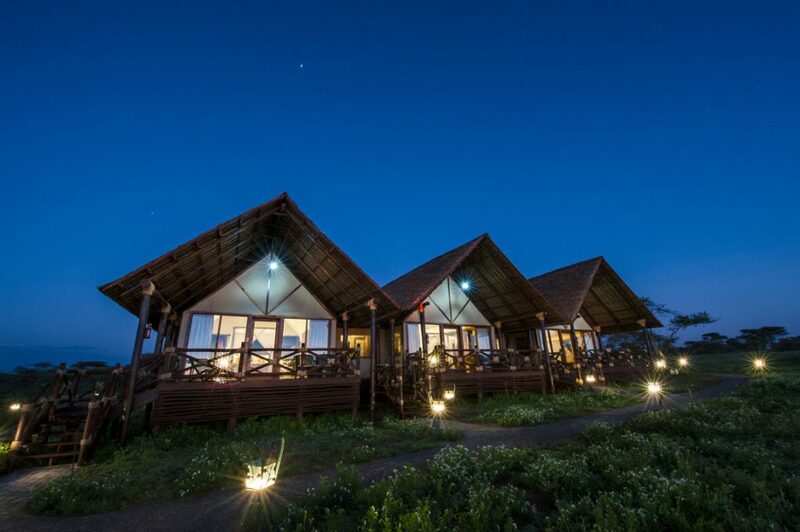 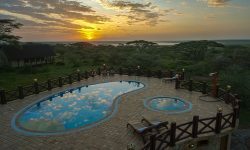 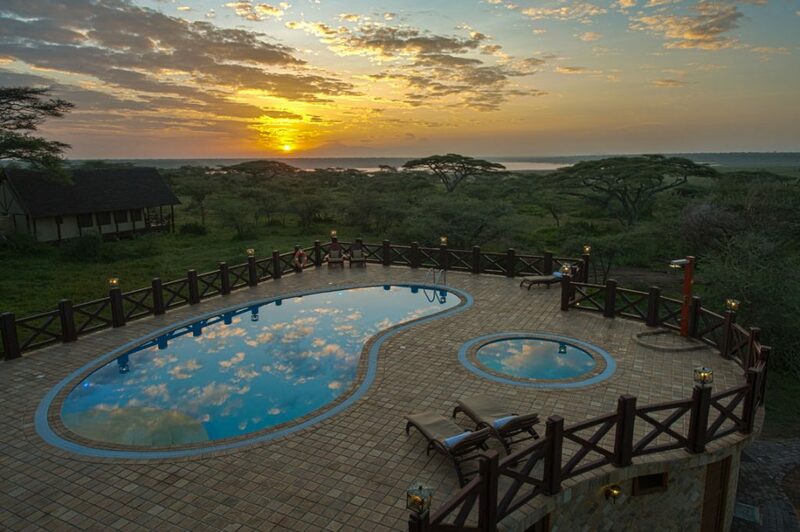 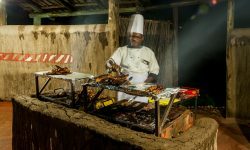 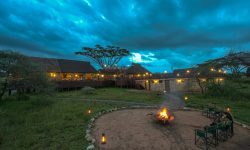 The lodge is located in the Ngorongoro Conservation Area, in the south-eastern plains of the Serengeti ecosystem. 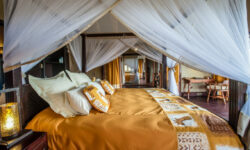 The luxurious tented rooms, all with wooden floor and nestling under makuti roofing (palm fronds) for shade and protection against the elements, feature a large bedroom with oversize floor-to-ceiling glass panels at the front affording guests a wide view from inside across the balcony to the natural scenery outside.